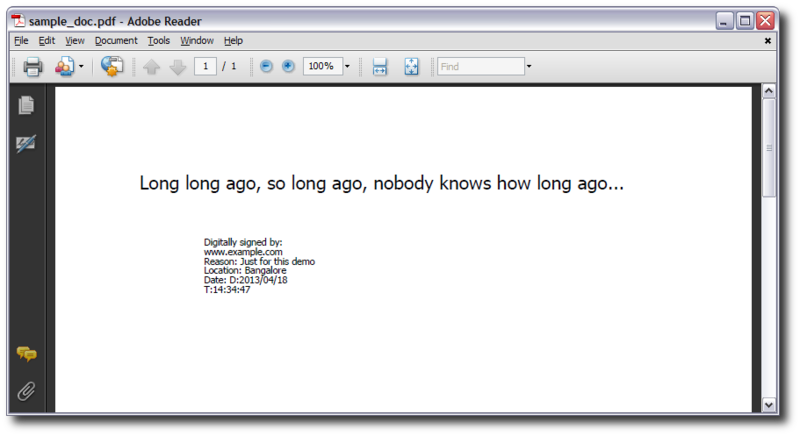 In Version 4, we introduced support for adding digital signatures in the PDF engine. The code for generating PDFs with digital signatures is simple. 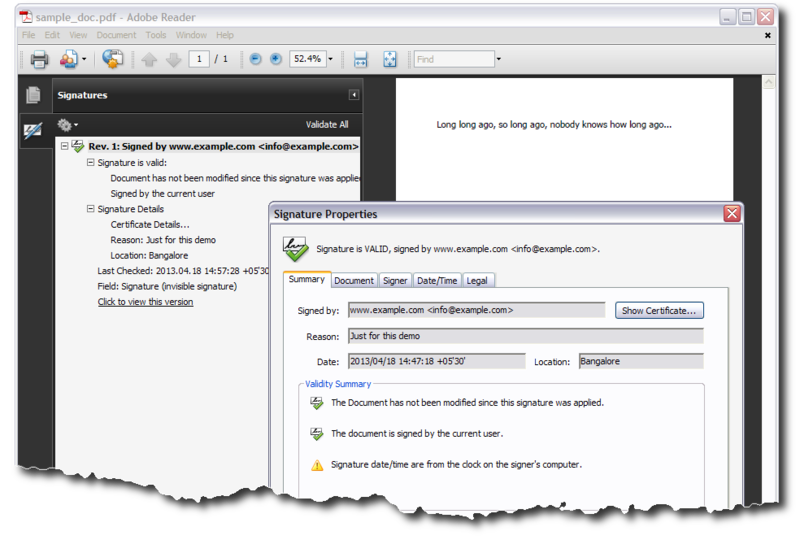 First, create a TgtDigitalSignature instance and then set it to the DigitalSignature property of the PDF engine. When the PDF is generated, it would have been signed. 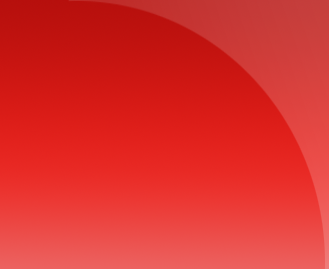 There are two types of signatures that can be added to a PDF - visible and hidden. First, let us see how a hidden signature is created. To include a digital signature, you need to have the digital certificate in a PFX file. TgtDigitalSignature instance has two important properties. One is the FieldProperties property. This is where you specify the signature form field properties. As we first create a hidden signature, we just set its Visible property to false. SignatureProperties property of the DigitalSignature is where you specify the pathname of the PFX file, its password and other signature properties such as reason, location and timestamp. To create a visible signature, just set the Visible property to true and set FieldBounds property to the location where the signature field needs to appear.